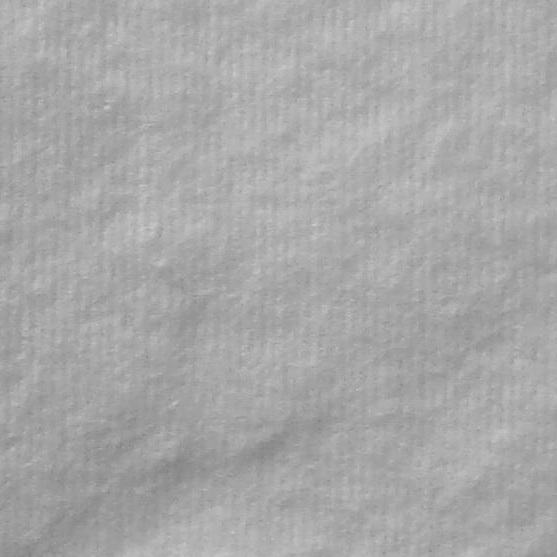 Classic line – Turati Idrofilo S.p.A.
Our Cotton Plus Line – CLASSIC in 100% high quality cotton wool is dedicated to distributors and wholesalers and is composed by items in 100% hydro-entangled cotton wool (extremely resistant, soft and lint free/ fluff free) as round pads, ovals, square pads and the innovative pre-cut line, as well as traditional items in 100% carded cotton as pleated cotton and cotton balls. 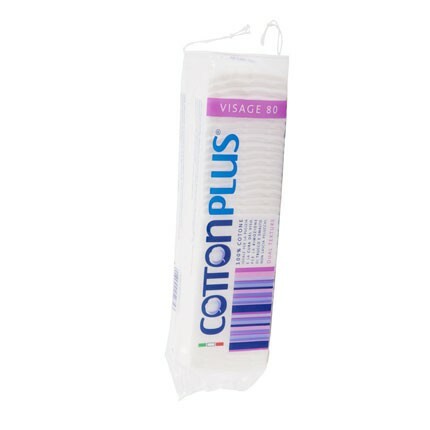 Much more than simply cotton wool: original shapes, space-saving packaging… discover our Cotton Plus range! Can’t find it? Contact us: we will be glad to study and develop the right item for you! 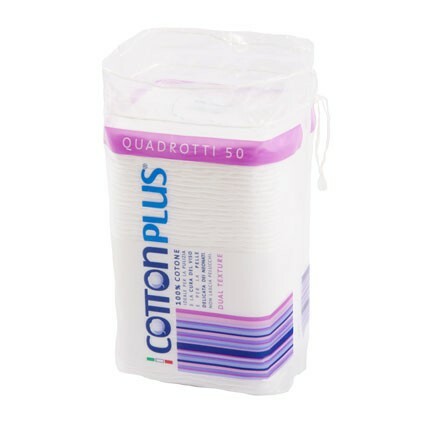 Our items are suitable for the mass retail channel, supermarket chains, retailers, wholesale, medical facilities, pharmacies, perfumeries , herbalists, etc..
Our pads Cotton Plus are made in 100% high quality hydro-entangled cotton wool, exclusively bleached with hydrogen peroxide (commonly called oxygenated water). 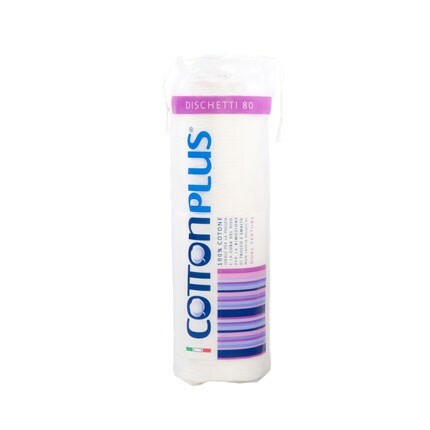 The special striped texture – DUAL – is effective in removing make-up and impurities, to complete with accuracy makeup removal routine! Available in different formats and sizes. 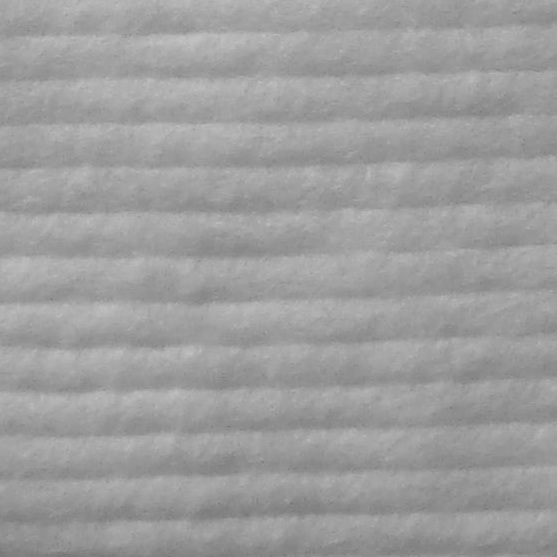 Choose between the classic round pads, square pads or ovals. And that’s not all! 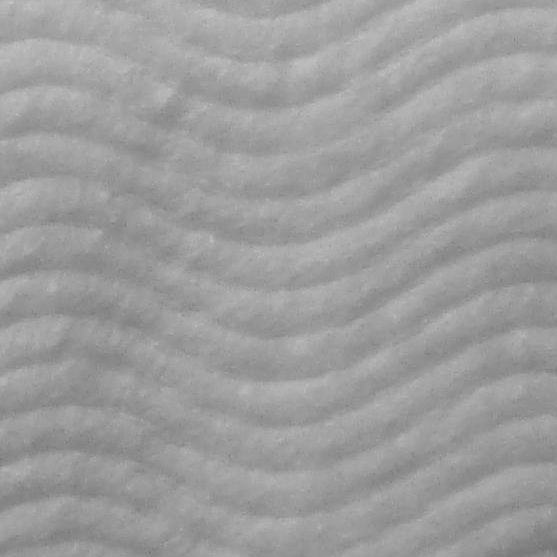 In fact, we offer the innovative pre-cut line: the practical pre-cut perforation between pads ensures easy dispensing and the final consumer can select the size of the pad by using one at the time or more not separated. 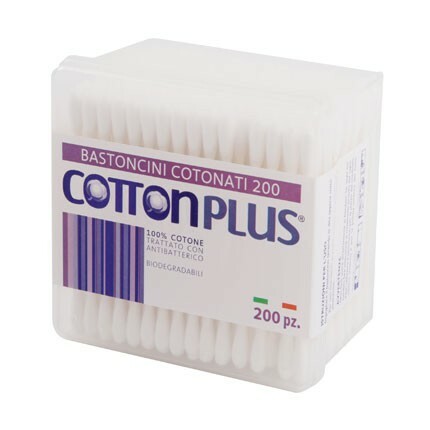 Our cotton buds Cotton Plus are made in 100% high quality carded cotton wool, treated with anti-bacterial and anti-mould. Choose between our classic cotton buds, available in various sizes and dimensions. And that’s not all! 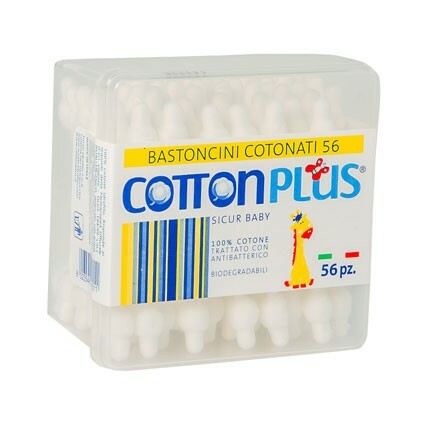 In fact we propose SICUR BABY cotton buds , whose main feature is the rounded shape and the enlarged tips that ensure greater security and protection for children ear care and MAKE UP cotton buds , 2 tips, 2 functions: the flat tip is specially designed for the precise make-up application while the pointed tip is ideal for correcting or blend the make-up. 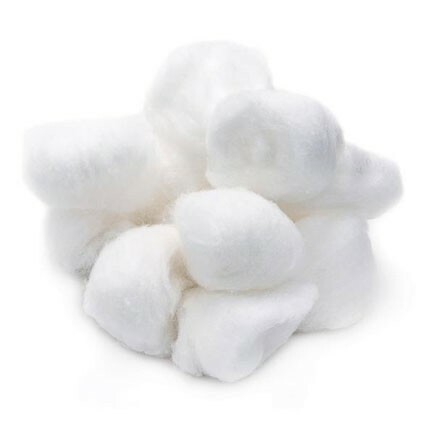 COTTON TYPE: 100% carded cotton wool, treated with anti-bacterial and anti-mould. 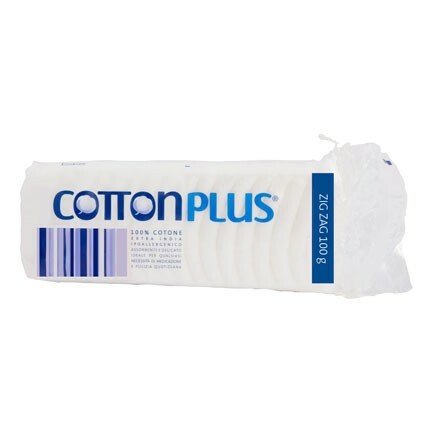 Our pleated cotton Cotton Plus is made in 100% high quality carded cotton wool, exclusively bleached with hydrogen peroxide (commonly called oxygenated water). More than half a century of quality and experience has allowed us to serve for years even the most demanding sectors such as the pharmaceutical. 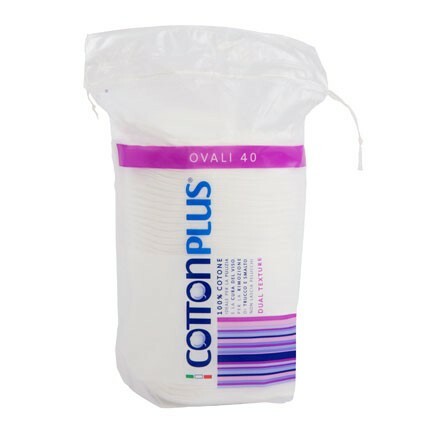 Our cotton balls Cotton Plus are made in 100% high quality carded cotton wool, exclusively bleached with hydrogen peroxide (commonly called oxygenated water). Available in various sizes and weight. Only the best for the for baby’s skin and body gentle care. 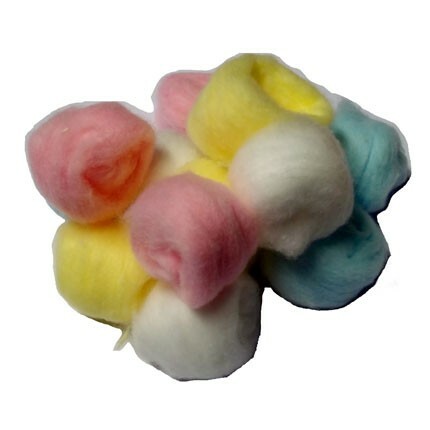 Items in 100% cotton, natural and hypoallergenic.